Hua Hin is one of Thailand’s premier beach resort towns on the Gulf of Thailand. It is located less than 200 km south of Bangkok, making it one of the most popular weekend getaway destinations for city residents. “Huahin” pronounced “ Hua – Hin “ หัว Hua in Thai means head and หิน Hin means stone. Therefore, Hua Hin means “ Stone Head “ , was named after the rocks at the north end of the powdery sand beach. Before I was not very fond of this town because of its brown beach. I have been to Hua Hin many times since my first visit in year 2011. The more I come here the better feeling I have for this place. It has a delightful mix of city and sea with a laid-back ambience, lively night markets, tasty fresh seafood and a long peaceful beach. 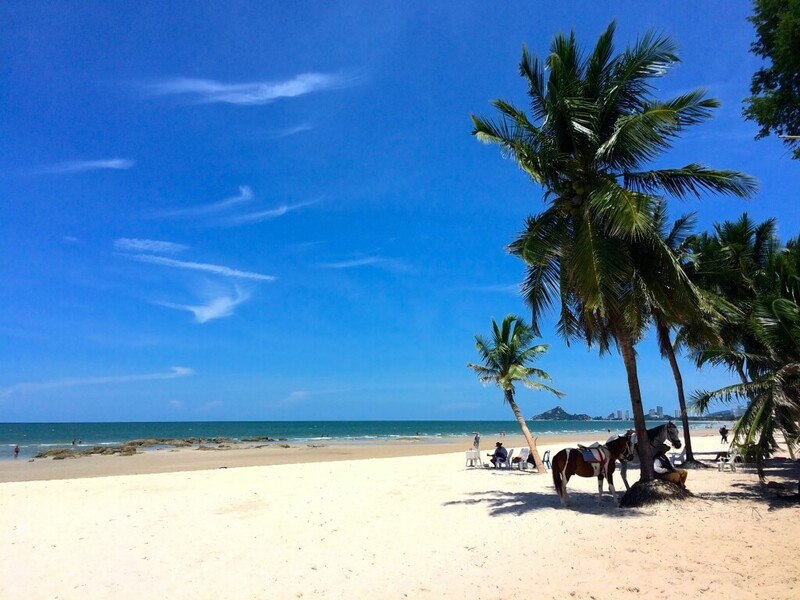 If you’re looking for an out of town beach getaway for a couple of days then Hua Hin is perfect. It’s not the best beach in Thailand, I must admit, but it is one of the best options for a Bangkok getaway. Relaxing Beach if you are into scuba driving, snorkeling – there are nothing to see under the water here apart from brown sand and black rocks. 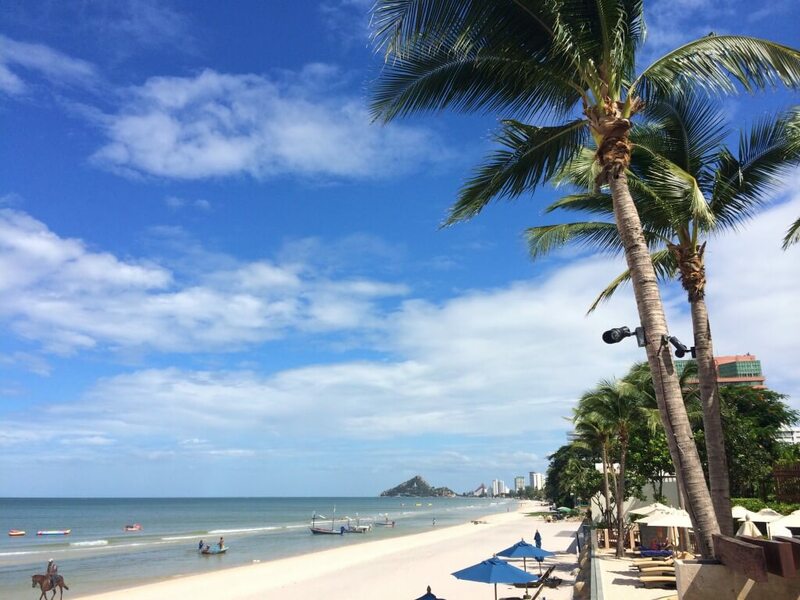 However, Hua Hin is a perfect location to relax and rejuvenate yourself with sea breeze and beaches. The beach here is also really long and wide, so if you like walks and the kids love space to play then it is spot on. Peacefulness Hua Hin is the best city to spend quality time with your family. Bars and pubs are located in the designated areas so you will not hear disturbing noise all night. Also Hua Hin is a royal city where our current King and previous King resided or used Hua Hin based as royal palace i.e. Khao Tao palace, Summer Palace of King Rama 6, Klai Kang Won Palace and more! Pear and I at Maruekhathaiyawan Palace. 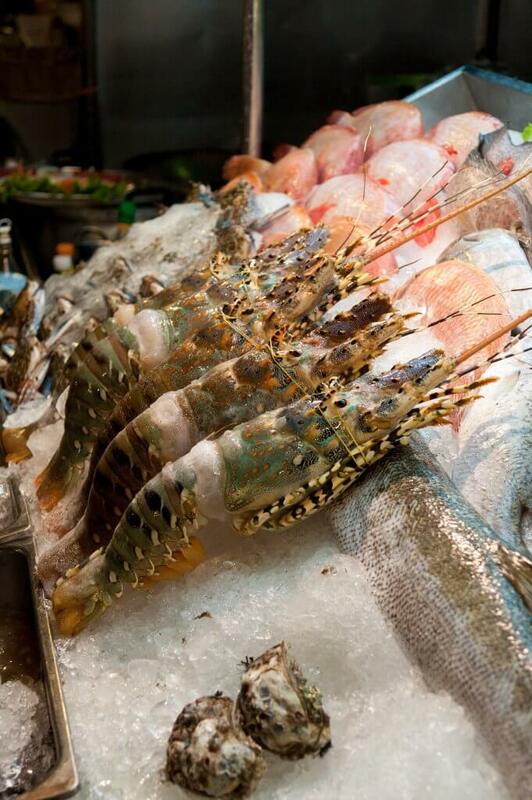 Delicious Seafood There are tons of seafood restaurants from street sellers to luxurious BBQ for you to choose. 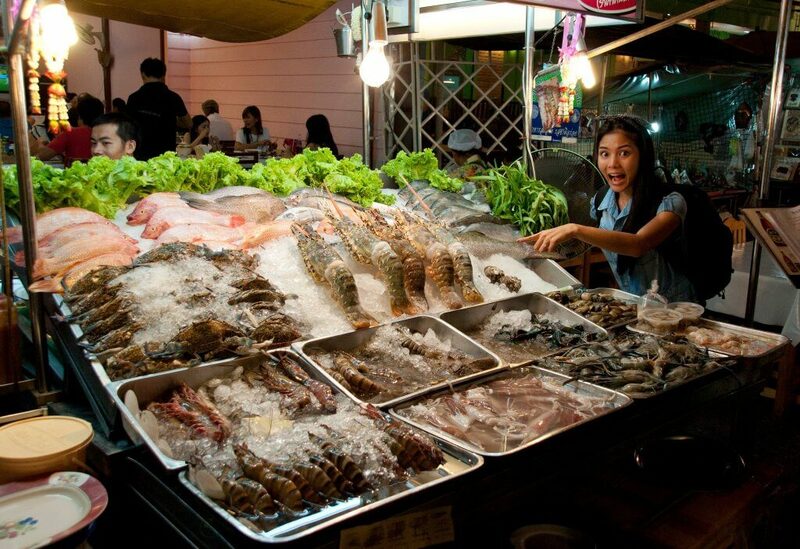 Don’t worry if you have allergies to shellfish or not a fan, Hua Hin is full of cafes, bakeries, local food and international food. You surely will find something you like. 4. 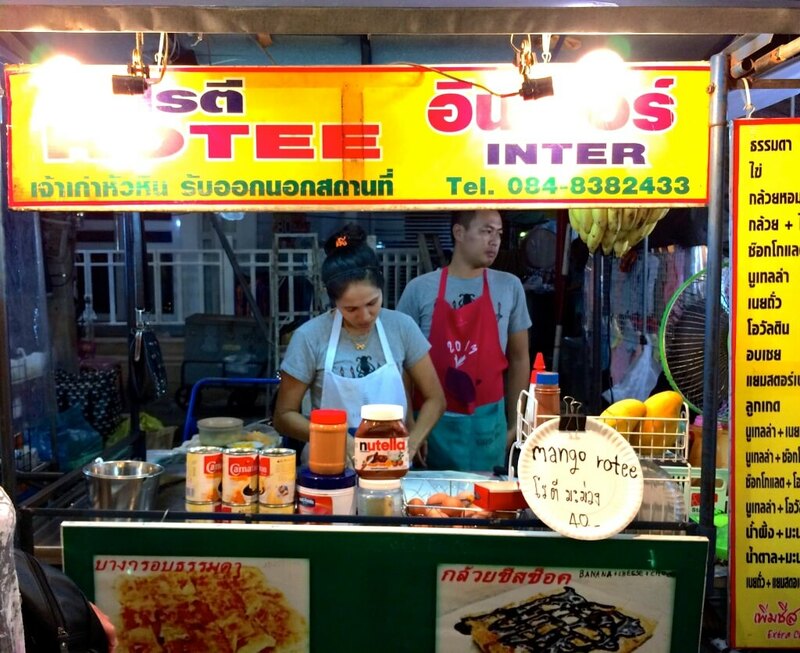 Lively Night Markets A visit here is an absolute must during your stay. 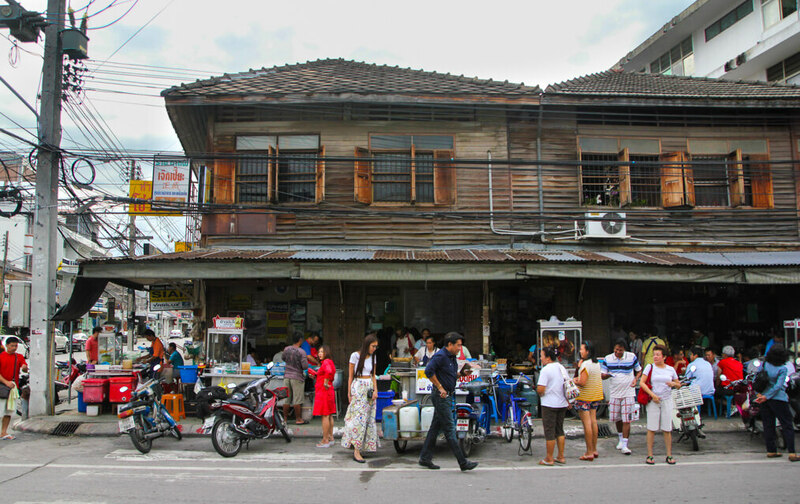 It is located in the centre of town and runs up from Petchkasem Road to the railway line and opens from around 18.00-23:00. 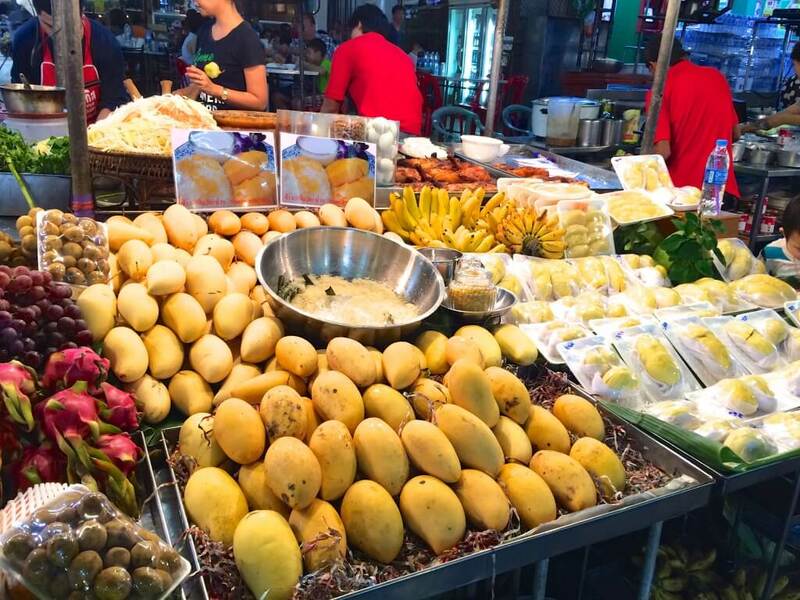 The market is a fascinating insight into Thailand and the way Thais like to live. I have been to this night market many times and every time, it doesn’t fail to fascinate me, it is full of color and life! There is also a night weekend market called Cicada with booths, food stalls and local groups performing live music, dance & fire shows. It is a good place for looking for handicrafts and special gifts. 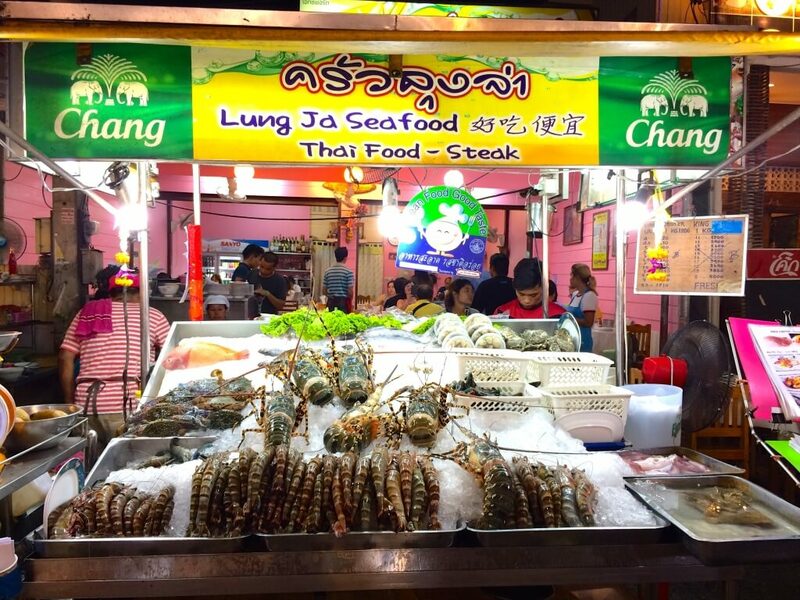 My favourite seafood place in the night market. Colourful fruit stall in the night market. The best Roti in Hua Hin or even in the entire Thailand! 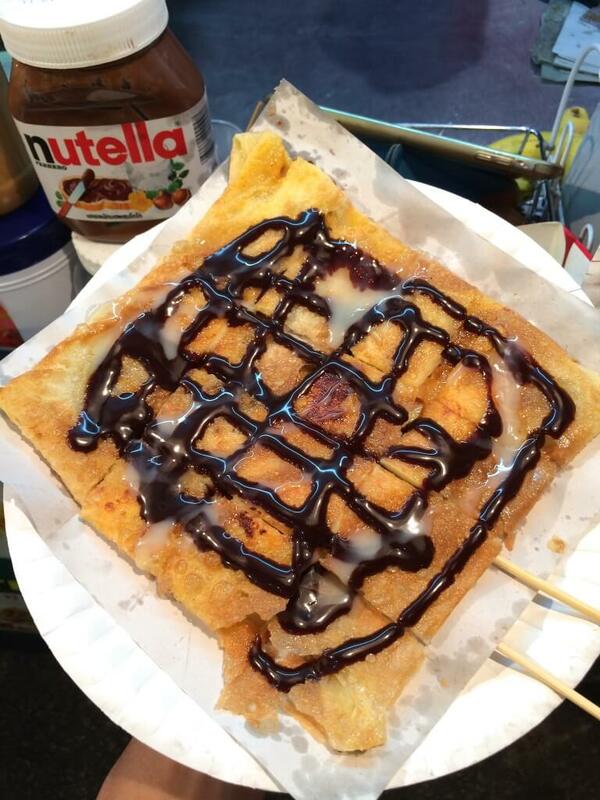 You have to try Banana+Cheese+Chocolate Roti! It is the best roti I have ever had! Hua Hin = Relaxation with massage and spas. If you feel the need for time out to pamper yourself, Hua Hin has number of treats for you. 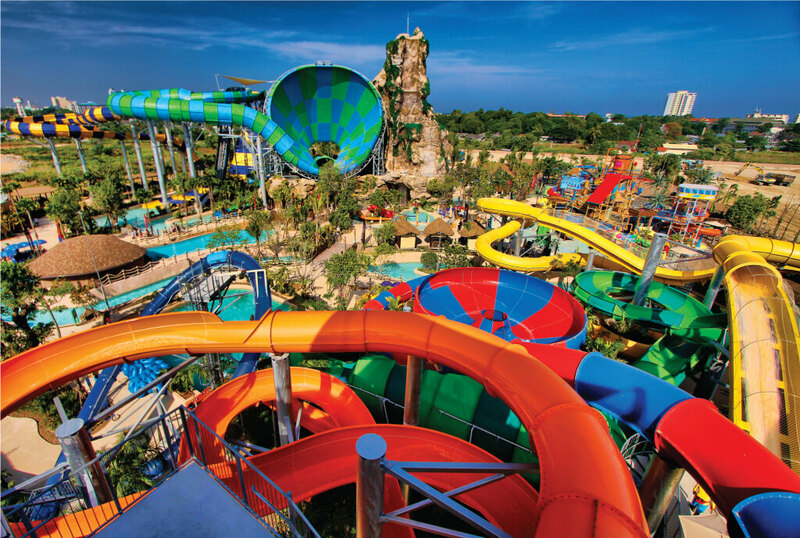 Fun Water Parks There are two water parks in Hua Hin; Black Mountain and Vana Nava with a range of rides and slides. It makes a fun day across all ages. The most beautiful train station in Thailand One of the oldest railway station in Thailand is here and arguably the most beautiful. It is the icon of Hua Hin. 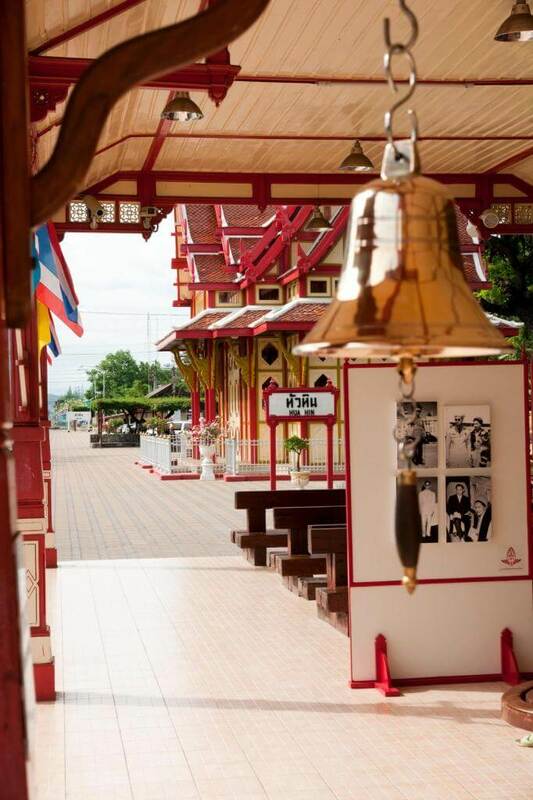 The station was built in the reign of King Rama VI and it features a Royal Waiting Room with Thai architectural style, a room which was relocated from Sanam Chan Palace in Nakhon Pathom province during the reign of King Rama VI. 8. Pala-U National Park Hua Hin has not only the beach to offer, but also a region of uninhabited peaks and valleys. The park is one of the largest in Thailand and sits right next to the Burmese (Myanmar) border. It is loacted 60kms west of Hua Hin. It is home to the 11-tiered Pala-U Waterfalls, a Karen ethnic hill-tribe community, more than 400 species of birds, wild elephants, bears, tigers and a multitude of rare mammals, flora and fauna. Pala-U means bamboo forest in the Karen language. 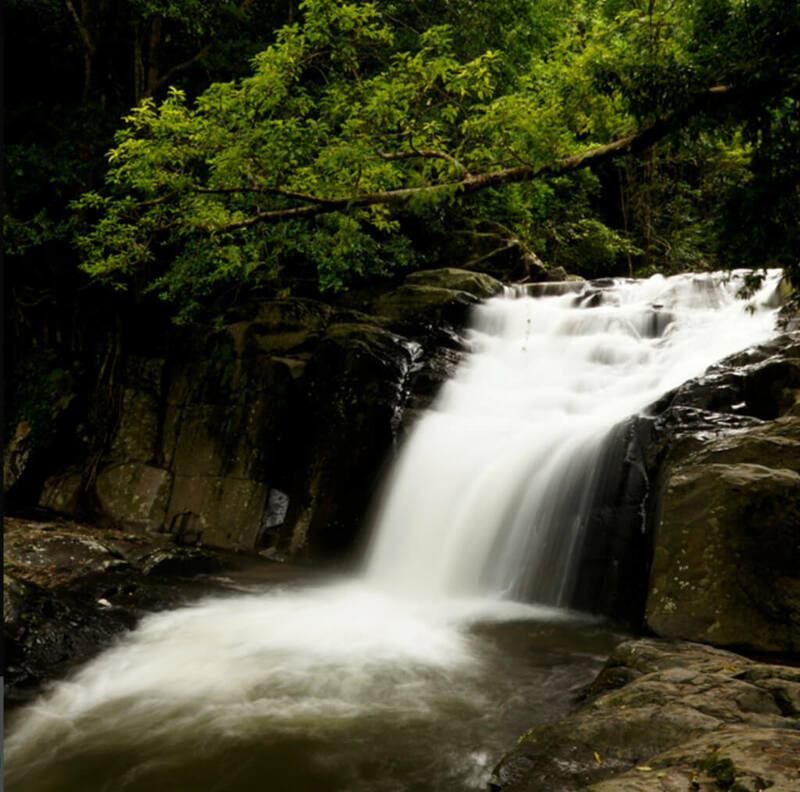 Usually a trip to Pala-U Waterfall can be arranged by a tour operator in Hua Hin. You can expect a one-day trip that includes transportations, national park fee, lunch and drinks. It takes 1.5 hours from Hua Hin town to Pala-U Waterfall. 9. 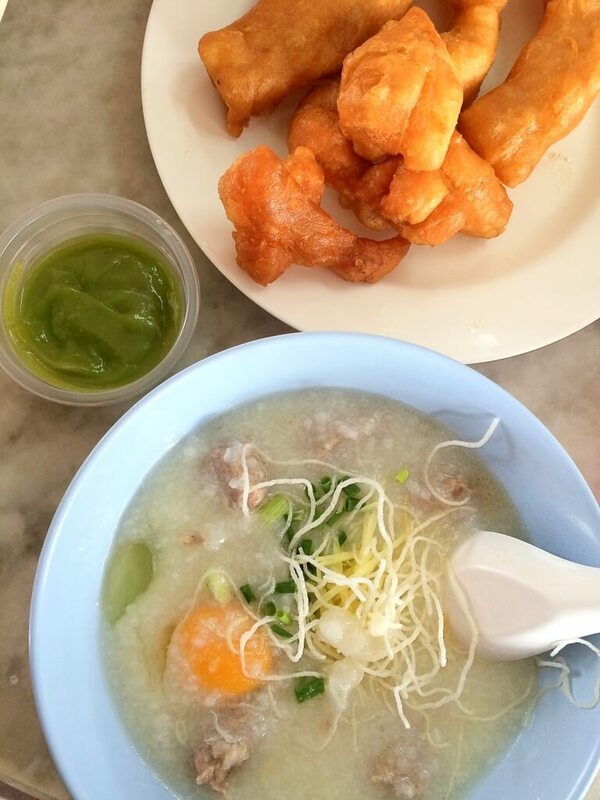 Best Thai-Style Breakfast can be found here. When you are in Hua Hin and would like to experience morning meal like a Thai, go to ‘เจ๊กเปี๊ยะ Jek Pia’ coffee shop and order โจ๊ก Joke – the thick rice congee porridge. 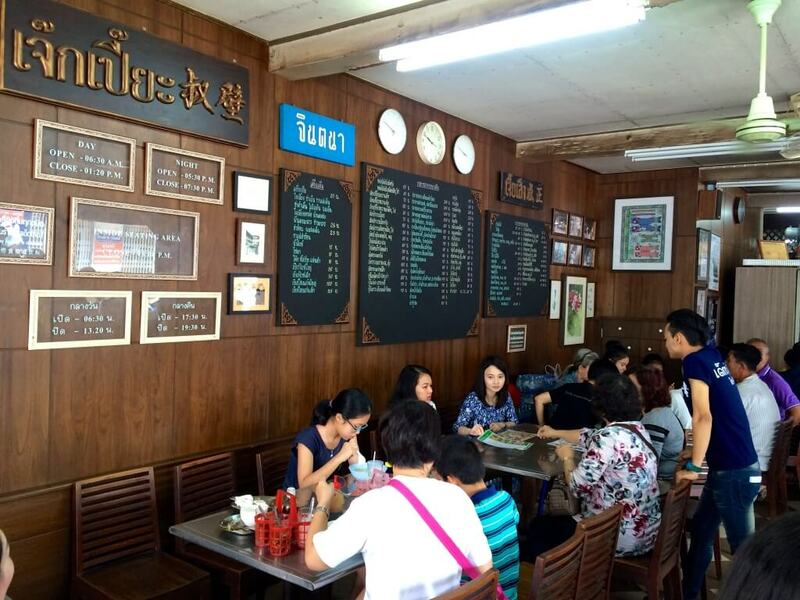 This over 50-year-old restaurant also serves good seafood Khao Tom (ข้าวต้ม boiled rice) and other delicious Thai seafood dishes. This place is well-known among Thai tourists so be prepared to wait in a line if you go in Saturday morning or dinner time on Friday and Saturday. I like to have Joke with Patongo (ปาท่องโก๋) – the Thai version of the donut, a blob of lightly sweet dough deep fried until it is fluffy on the inside and crunchy on the outside. 10. It is near Hua Hin is very close to Bangkok – only 3 hours by car and the options for public transport are many. You can go by minivan, bus, or train. – Railway: Hua Hin railway station is part of the southern rail route that starts in Bangkok. Trains run all day and night between the cities. Don’t expect to arrive or leave on time! Check timetables and fares here. 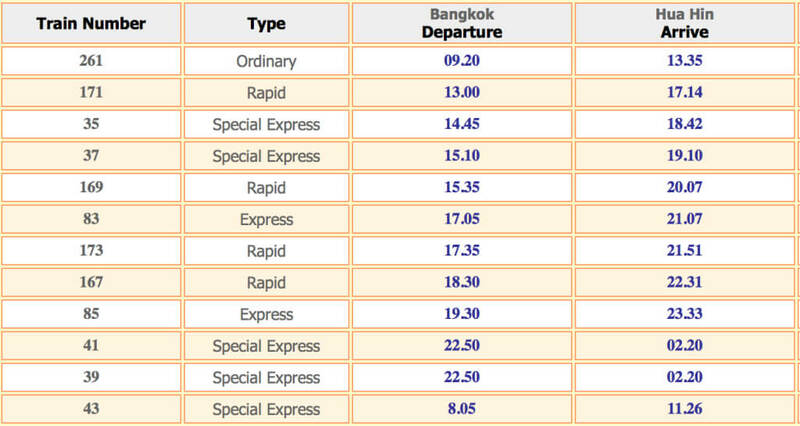 – Bus: There are buses direct from Bangkok to Hua Hin from Southern Bus terminal. This will take about 5 hours. – Minivan: Catch a minivan for 180 Baht from Victory Monument in front of the Century mall in Bangkok, it takes about 3 hours. 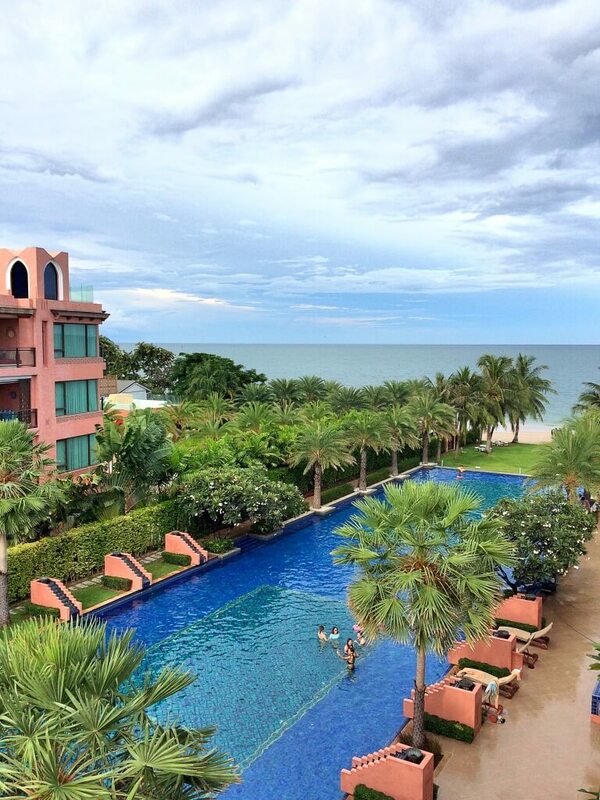 There are numerous numbers of accommodation in Hua Hin from budget room to five-star oceanfront resorts. Personally, I enjoy a place by the beach with a beautiful swimming pool. Here are a couple of places I have stayed and would like to recommend. 1. 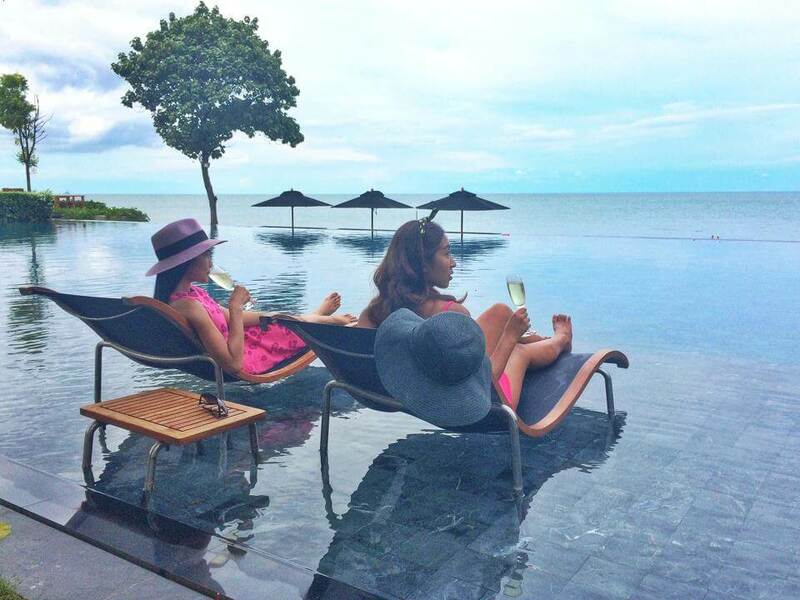 Intercontinental Hua Hin Resort – here is my favourite place so far. The room is beautiful and nicely decorated. The pool is very nice and large. Breakfast is excellent. The beach in front of the premises is also nice and not crowded. Nice and large beachfront pool. I love this pretty breakfast area. 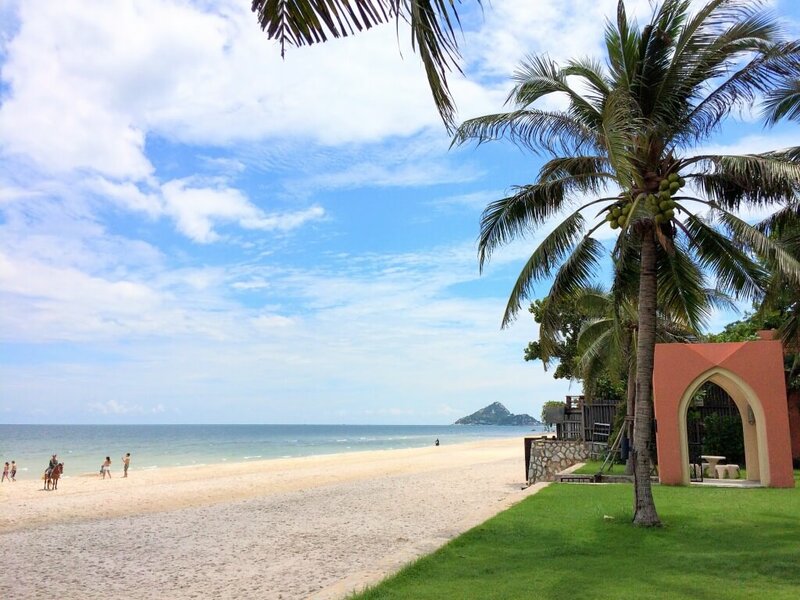 The peaceful beach in front of Intercontinental Hua Hin. Marrakesh is a beachfront morroccan-style property offering stunning views of the sea along with its enormous swimming pool that is as long as the whole complex. The location is really nice, the beach is beautiful and it’s really easy to access it from the garden at the end of the swimming pool. Enormous pool at Marrakesh Hua Hin! 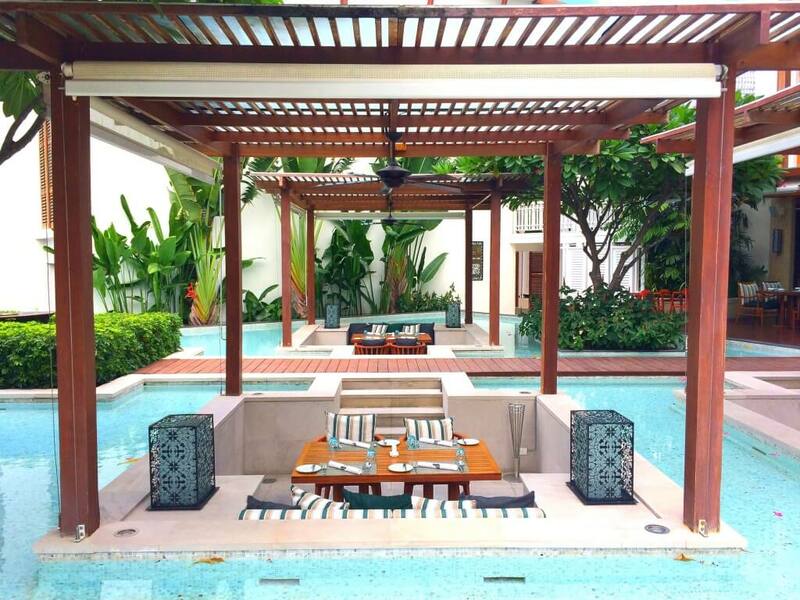 For a quick budget trip that you don’t need a beachfront stay, Baan Nilrath is a good choice. 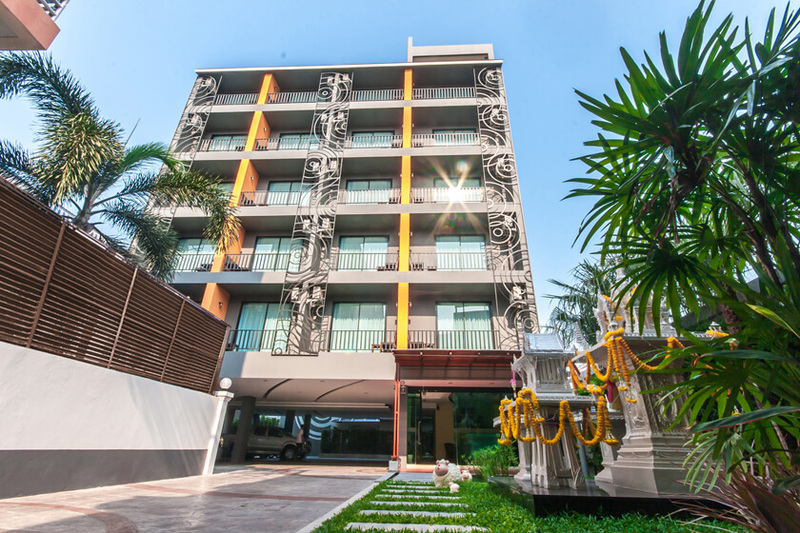 It is in a great location – walking distance to the night market, Hua Hin Beach (about 600 meters) and Soi Binthabaht where Hua Hin bars are located. 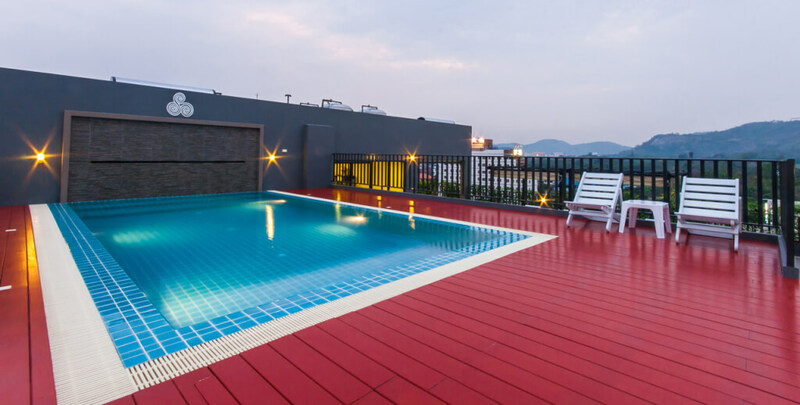 The room is new, clean and spacious for the price and the staff are very friendly.There is a swimming pool on the rooftop. Breakfast buffet doesn’t have a good variety but you can always go to many cafes and bakeries in town. On my last trip I wanted to stay at this resort but it was fully booked which happens vey often in almost beachfront places every Friday and Saturday (if you would like to stay in a nice place in a good location, remember to make a reservation well in advance). It has large and beautiful grounds. The beach here is also quiet and clean, the sand is powdery soft. Personally I think this spot has the prettiest beach in Hua Hin. The location is superb, it is located right in the middle of the city centre but when you are inside the premises you feel like you are somewhere far from the touristy area. I am sure this resort will make a wonderful holiday for you. If you are in town and interested to have in-person Thai lessons with Pear. We are also happy to arrange the meeting for you. See more details HERE. Very nice work, you explain everything in deeply and make the people to understand, I personally, heartfully appreciate your work, GOD BLESS you. Can you guide me, Can you go to Hun Hai in the moring and come back to evening to Bangkok – I am planning to visit on 26th Jan.
You can do one-day trip to Hua Hin from Bangkok, but it would be tiring as the journey takes 3 hours one way so round trip would be six hours. I suggest you to stay at least two nights in Hua Hin to enjoy the town and go into relaxing mode. A few days ago I returned from Thailand and had possibility to check in practice what I have learned. Sometimes was funny, often I was able to communicate 🙂 Pronunciation and tones are so important (you emphasis this all the time) but there is one thing.. If I say “R” sometimes nobody understands me.. For example price RAKAA: everyone says LAKAA. Sometimes L instead of R, but after K is always H, for example KHAP instead of KRAP. What do you think about it? Grateful for you work Paul. PS. the effort You did is so valuable for The Thailand country, I’m not sure You aware of this. Hi Mod, thanks for a good article on Hua Hin .I am there now for a few days and you have provided some good info . I travelled from Bangkok Airport in a lovely brand new VIP air con bus . It was just like travelling first class with lots of leg room . A great choice and only 274 baht. The counter is on level one near gate 8 if anyone is interested. Thank you for the wonderful pictures and information about Hua hin it’s just what I needed to know as I’ll be visiting there on my next trip to Thailand. Please let me correct the word order in your Thai sentence ‘I love your work’. 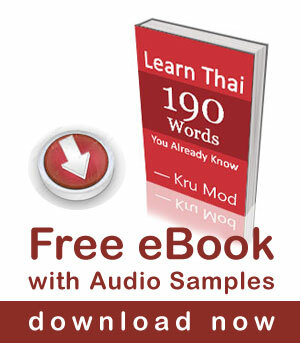 The phrase ‘your work in Thai word order is ‘work your’, so it is ‘ngaan korng khun’. 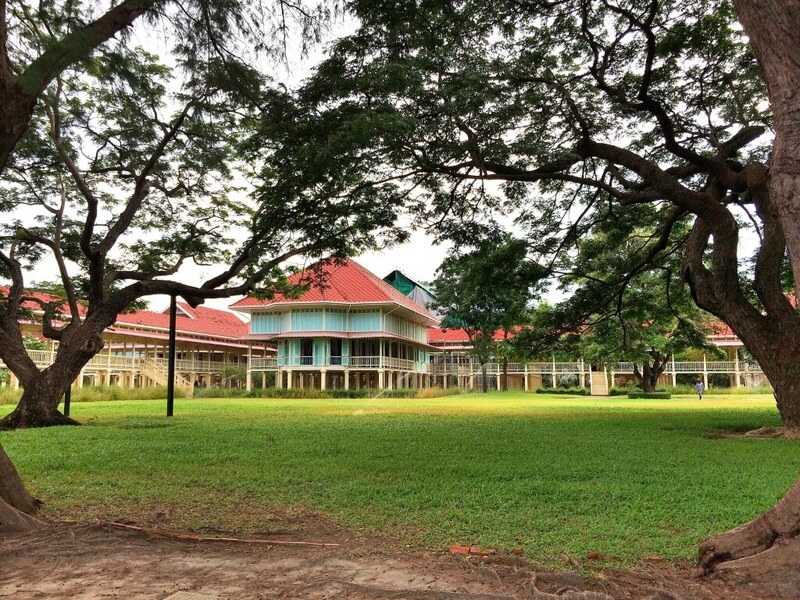 Hua Hin winery – about an hour from Hua Hin – is a nice place to visit. Great wines and great food in a relaxed setting. They also have a shop / bar in Hua hin where you can taste and buy their wines. One of my favorite Thai destinations. The palace of Rama VI is beautiful, and well taken care of. The grounds are stunning. There are bungalows around if you look. Very quiet and very family oriented. The beaches to the south are where you can purchase crab right off the boats. True that the beaches aren’t the best, but they’re not bad. You can travel about 30 km north to Cha-am and the beaches are a little better if this is a must. It is very close to other destinations as well. Ratchaburi province has many attractions, such as the River Kwai, and the Damnoen Saduak floating market. All well within driving time of Hua Hin, making it an excellent place to center a holiday package. Damnoen Saduak floating market in Ratchaburi is nice. I haven’t been back to that area for a while. I think it is time to revisit. River Kwai is in Kanchanaburi which is not too far from Ratchaburi (1.5 hrs drive), that province is also lovely. We will be visitng Thailand next week! First Chang Mai, then Pak Chong, and our last week we’ll be in Bangkok. We may visit this place too! on the pictures I can see that the two of you are really enjoying your lives and are so very happy! also you both are looking more and more beautiful every time! Great pictures! This makes me want to go back to theThailand so badly. You’re so lucky!! I wish I could eat those here. Well that’s interesting for I have never heard them described like that before. น้ำ means water right? And ดอกไม้ means flower right? So water flower. I think if I asked for that on a Thai market I’m not sure what I would get. Usually they understand มะม่วง สีเหลือง (mango Yellow colour) And yes, Motd chob gin mamuan see leuang. I have to eat them before the ants get them ! Hua Hin is also my most beloved beach and city in Thailand. I have only been five times there, but feel always very good. May be I’ lucky next time to see Pear or even you in Hua Hin. Very nice, but you forgot อนุสาวรีย์บูรพมหากษัตริย์ไทย 7 พระองค์. Thank you very much for the excellent explanation and introduction of Hua Hin. We love Hua Hin since 7 years and bought a house recently, never regret. I’m sure that soon take advantage of your advice. i get the air con bus from level 1 at airport its great and direct to hua. 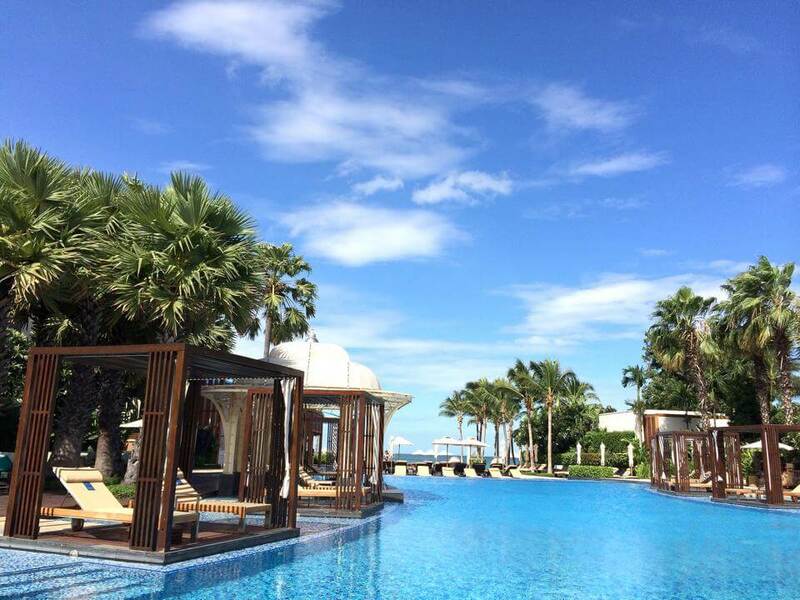 Thank you Khun Mod for this great introduction to Hua Hin ! Great pictures and very informative. I was just wondering whether you could also write it in Thai – or an easier version of it ? This could boost the reading skills of many of us, I suppose. Very nice! Hua hin also my favorite! Very nice pictures. Good article. Thanks Mod & Pear!